We use you in both the beginning and end of our days! You help us prevent so many problems! Did you know that Tuesday was National Brush Day? Well it was: Surprise! Very fitting being the day following Halloween. We know, we know… there’s a “national something day” for everything. Thursday was even National Sandwich Day for goodness sake (and we all know how Montclair Smile Design feels about a good sandwich!). We don’t like to bombarde our audience with ridiculous things. Slightly funny things? Yes of course, but not ridiculous. We do love to educate when the moment presents itself, and therefore we are celebrating belated National Brush Day! Brushing your teeth seems like a very basic skill that each and every one of us should know inherently. But the shocking fact of the matter is that the majority of Americans do not! This article here reveals a bit about the shortcomings in brushing our teeth. How does Montclair Smile Design help? At each one of our new patient exams we explain how to brush and floss your teeth. It may seem silly and basic, but we bet that at least 50% of our new patient base will learn how to brush and floss their teeth more effectively afterwards. Brushing should take you anywhere from 2-3 minutes per brushing session at least twice per day or more! Be careful to not stay in the same place too long or press too hard. Each surface of your teeth needs to be cleaned: front, back and chewing sides. How do you get to those in between places where stuff likes to hide? Floss of course! Don’t forget this essential aspect of your homecare. Wonder what our favorite toothbrush is? Sonicare! Here is a blog we wrote previously about how effective and exceptional the Sonicare toothbrush is. 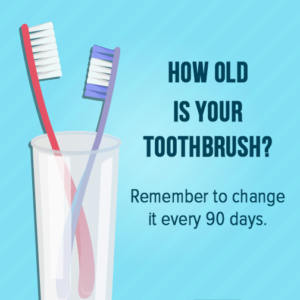 Here’s even a link to a quiz for little kiddo’s on brushing how-to’s. Questions or comments? Let us know! Happy Brushing!